ECON Healthcare Group is proud to have won at the 3rd Eldercare Innovation Awards 2015. Key members of the Group were nominated for the awards, which were assessed by a panel of judges. ECONLIFE! Hub won “Best Wellness Programme”, while PhysioWorks was a finalist for the “Best Rehabilitation Programme”. ECON Healthcare Group has won, or been nominated at the Awards since its inception in 2013. We are excited and will look forward to next year’s edition! ECON Healthcare Group was first established in 1987 with a single 16 bedded nursing home. 28 years on, the Group has grown from strength to strength, emerging as the leading private eldercare services provider in Singapore. 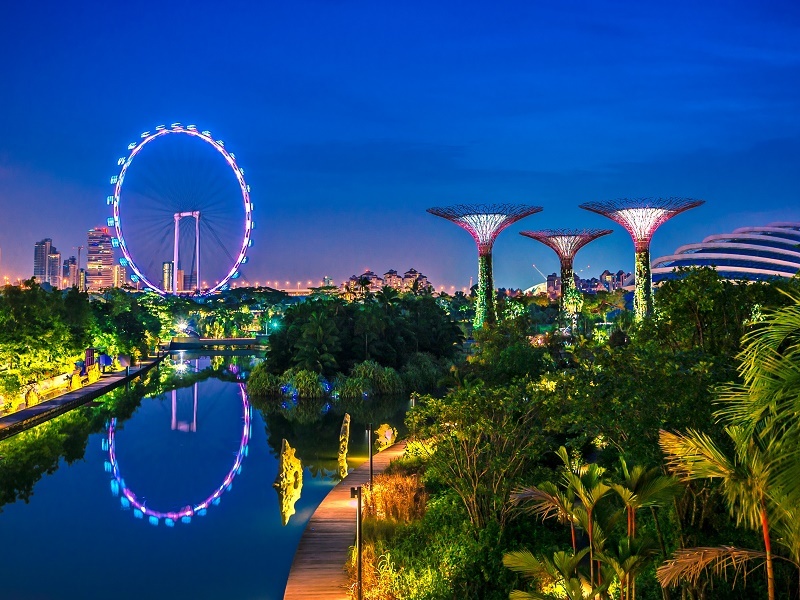 With 11 Nursing Homes and Medicare Centres in Singapore and Malaysia, ECON is well-placed to meet the needs of the senior community and their families. Throughout the years, ECON has expanded on its services to include a professional careskill training centre, a hospital and a chain of health and wellness centres. We adopt a client-centred care model, combining the best of the East and West through our Traditional Chinese Medicine, Physiotherapy, and healthcare services. Through our years of experience, ECON has also developed a unique set of capabilities to provide management and consultancy services for the design conceptualisation, development and management of retirement living communities. As ECON adds to its years of history, the beliefs at the heart of our organisation remain the same. The values of care for others before self, and filial piety remain strong and are deeply rooted in the Group’s culture and value system. Owns and manages West Point Hospital, providing a comprehensive suite of services including 24-hour inpatient and outpatient care, day surgery, specialist consultations, laboratory and radiology, health screening and rehabilitation. 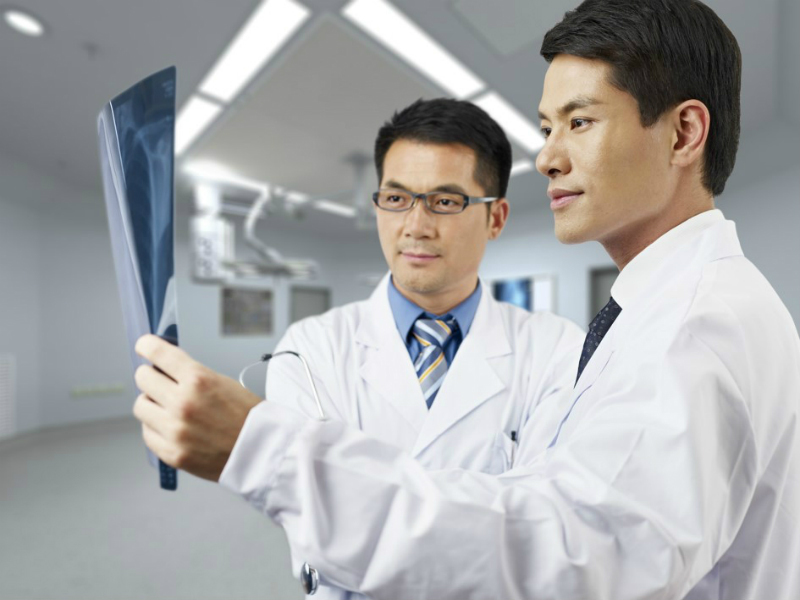 ECON Chinese Medicine services are available in all ECONLIFE! Hubs and in West Point Hospital. PhysioWorks provides physiotherapy and rehabilitation are available in all ECONLIFE! Hubs and in West Point Hospital. 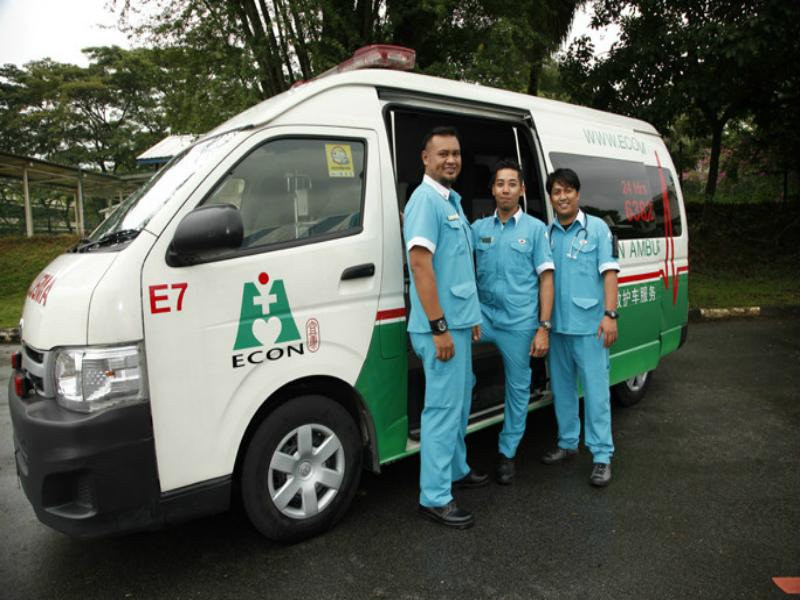 ECON Ambulance Services provides a team of caring and experienced personnel who are well trained to respond to any form of medical situations. In addition, we provide supplementary services such as event medical coverage and ambulance transfers. ECON Home Care team professionals are available 24/7, 365 days a year offering nursing services at the comfort of the client’s home. ECON Careskill Training Centre (ECTC) designs and delivers courses that are practical and relevant for caregivers, nursing and healthcare professionals. ECON Healthcare Group manages a chain of ECONLIFE! Hubs. The heart of our Hubs is to be ‘With the Community’, ‘In the Community’ and ‘For the Community’. This is a one-stop resource centre for the seniors and their families to engage in active and healthy lifestyles. We provide short term care for sponsors who require temporary nursing care for their loved ones, where they will undergo an individualised care program until you are ready to bring them home. The care programme is developed by our in-house care team, comprising of medical, nursing and allied health professionals. Our rehab team also offers specialised rehabilitation programmes to aid in optimum recovery for individual residents. To harness the benefits of East-West medicine, your loved one can also choose to include Traditional Chinese Medicine treatments in the care program. Apart from offering various rehabilitation and therapy programs, we also engage your loved one with appropriate social-recreational activities and try our best to help your loved one adapt well to the new environment. When ECON is your nursing home choice for your loved one, we appreciate the trust and responsibility in our hands. Hence, it is our priority to provide your loved one with the best care and attention, giving them the most comfortable living environment. We want to create an environment where residents will be happy to call their Home. We have always believed that every resident deserves the very best. This is why every resident has an individualised care plan developed for them, where we consider their physiological, psychological and socio-emotional needs. The care plan for your loved one is reviewed periodically to ensure that he/she continues to receive the appropriate care during the stay with us. Our rehab team also offers specialised rehabilitation programmes to aid in optimum recovery for individual residents. To harness the benefits of East-West medicine, your loved one can also choose to include Traditional Chinese Medicine treatments in the care programme. Daily recreational activities and exercise programmes are organised to encourage interaction and friendship amongst residents. Some of our residents have bonded so well that they become regular companions for mah-jong and karaoke sessions. We try our best to create a peaceful, caring and safe environment for all our residents, providing more than just nursing care, but a homely and friendly community so that our residents can aspire to continue to lead a quality life, regardless of their health condition. We do our best to ensure that your loved ones feel at home with us. At our homes, your loved ones can enjoy a variety of room choices. For more privacy, personal rooms come along with the convenience of an attached bathroom, telephone and television set. You can also choose an Open Ward for your loved one to foster new companionships with neighbouring residents. Our team of healthcare professionals comprising of resident medical doctors, physiotherapists, TCM physicians, health & wellness therapists and nursing staff pledge to keep our residents healthy, safe and happy with our care. During their stay with us, our physiotherapists plan specialised rehabilitation programmes to aid optimum recovery for residents. Residents are also encouraged to adopt active and healthy lifestyles with the assistance of health and wellness therapists. Additionally, our therapists monitor our residents’ diets to give them the best nutrition. Your loved ones can also choose to receive our Traditional Chinese Medicine services to enhance their wellness. Our physicians can customise treatments and programmes to aid recovery and improving their health.